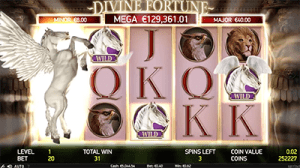 Net Entertainment Pokies Games | What casinos have NetEnt games? 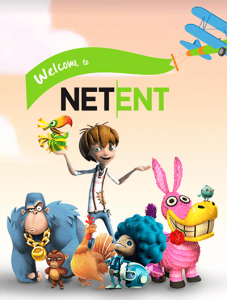 Net Entertainment (more commonly known as NetEnt) is a Swedish based software developer at the forefront of online gaming. Known for creating some of the most entertaining, attractive and engaging pokies for the virtual casino industry, NetEnt slot games are arguably the best on the Web. We give you an overview of what you can expect from Net Entertainment games, the must try titles and the best Aussie-friendly casinos to give them a try. Founded in Stockholm in 1996, NetEnt has been pioneering the online pokies industry for 20 years, with offices now operating out of Sweden, Malta, Poland, Ukraine, Gibraltar and the USA. During that time the NetEnt team has kicked such goals as entering the Nasdaq Stock Exchange, launching some of the first ever mobile casino games and joining the live dealer casino industry. Amongst all the awards and collection of sophisticated table games, it’s NetEnt’s pokies which continue to stand out and break new ground, with world-class games available in instant-play mode for both desktop and mobile play. Gonzo’s Quest – this fun, adventure themed pokies game follows Gonzo the conquistador on the Quest for Eldorado as he sets out to the jungles of Peru to find the lost city of gold. 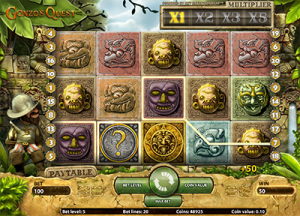 Along with incredible animation and symbols made up of intricate Mayan designs, Gonzo’s Quest uses a unique Avalanche feature, where symbols fall down into place and then explode upon a win rather than spinning across reels. Avalanche wins also bring some sweet multipliers for bigger wins. Starburst – Starburst combines a classic pokies format with impressive NetEnt style, using a space theme to provide a vibrant yet uncomplicated game which has become hugely popular with players worldwide. It’s such a great example of NetEnt’s work – free spins on Starburst are often offered by online casinos as an incentive for players to join. South Park Reel Chaos – all the foul-mouthed characters you know and love from South Park are here in this entertaining licensed NetEnt game, but this time they’re acting as superheroes. 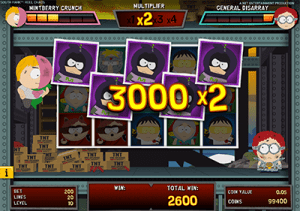 Join Stan, Cartman, Kenny, Kyle and Butters as they set out to destroy Professor Chaos, with tonnes of bonus features including stacked wilds, multipliers, free spins and additional bonus games. Guns N’ Roses – this 2016 NetEnt release brings the spirit of rock and roll to the online gaming world, with symbols consisting of original Guns N’ Roses band members including Axl Rose and Slash. The soundtrack offers a choice of five classic GNR hits to blast as you spin the reels, with the possibility of triggering such bonuses as the Appetite for Destruction bonus wild, Legend Spins, Bonus Wheel, Encore Free Spins and the Crowd Pleaser Bonus Game. This is just a small sample of the NetEnt game catalogue – there are upwards of 100 video pokies in the Net Entertainment repertoire. NetEnt pokies have a theoretical RTP (return to player) of between 95% and 98%. Where can I play NetEnt games? There are hundreds of NetEnt pokies available at the best online casinos, with many multi-provider venues offering games from NetEnt along with other leading game developers like Microgaming, BetSoft and Play ‘N Go. NetEnt games are available in instant-play mode, which means they are accessible directly over your web browser without having to make any downloads. Check out the top-rated casino sites in our table above for the best Aussie-friendly online venues to play NetEnt games for free or real money bets. Each of our recommended online casinos allow you to play NetEnt pokies in demo mode for free, and accept deposits in AUD when you decide to play for real money. Sign up at Slots Million to claim a welcome bonus of up to $100 plus get 100 free spins to use on some of NetEnt’s most popular pokies.